Madeira may be a small island but it packs a large amount of flavor. 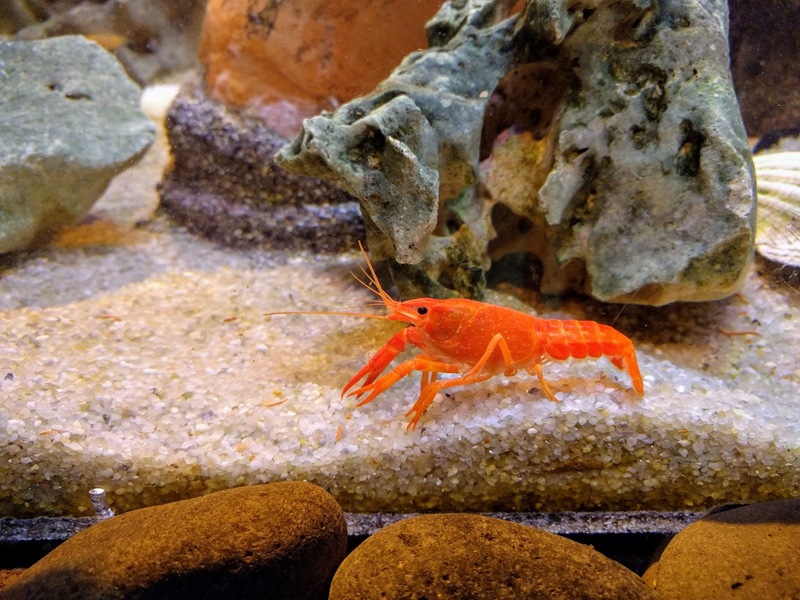 Madeira is part of Portugal so the flavors are influenced by this heritage: think great seafood, wine, and more at great prices. 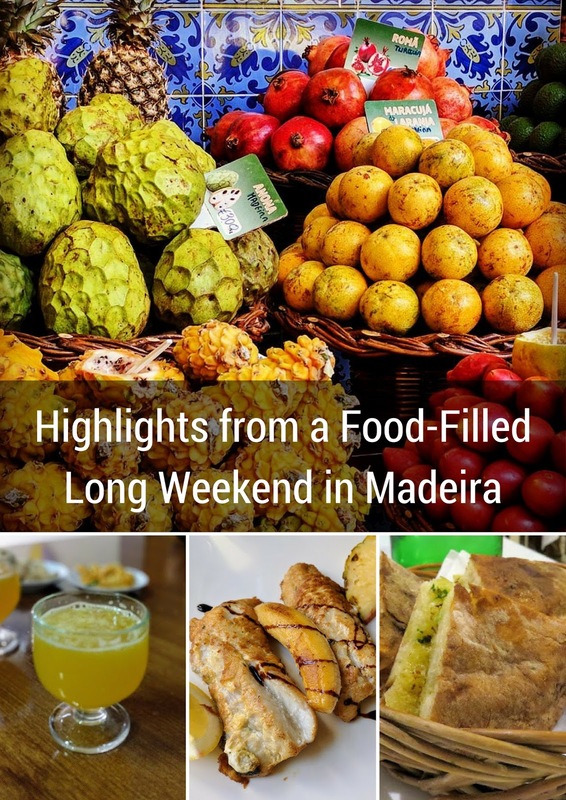 Here are some culinary highlights from our long weekend break in Madeira. Small cafes line the streets of Funchal and are a great and economical way to get a bite for lunch. Sit outside and enjoy the island sun while noshing on a menu of the day for less than 10 EUR per person. We tried a thin steak seasoned with garlic on bolo do caco (Madeiran bread cooked on a flat basalt stone slab). My husband tried a fish fillet seasoned with tomatoes and served with potatoes and greens. After lunch, you'll be tempted to stop at Ottavia for gelato. There is a large window facing the street where you can peer in at the flavors on offer. We were quietly looking and discussing if we wanted a scoop when wham! the window flew up and we were faced with an order counter. It was a sweet, delicious trap! There is nothing finer though than eating gelato while strolling the mosaic stone streets of Funchal. We'd heard great things about Cris' Place in Funchal's new town. The experience is top notch. At 50 EUR per person including unlimited wine and water, dinner at Cris' Place is expensive but actually great value for money. You get three courses with wine pairings plus an amuse bouche and palate cleanser as part of the deal. Every dish from our shrimp and mango starter through to our octopus main to our chocolate fondant dessert was amazing. 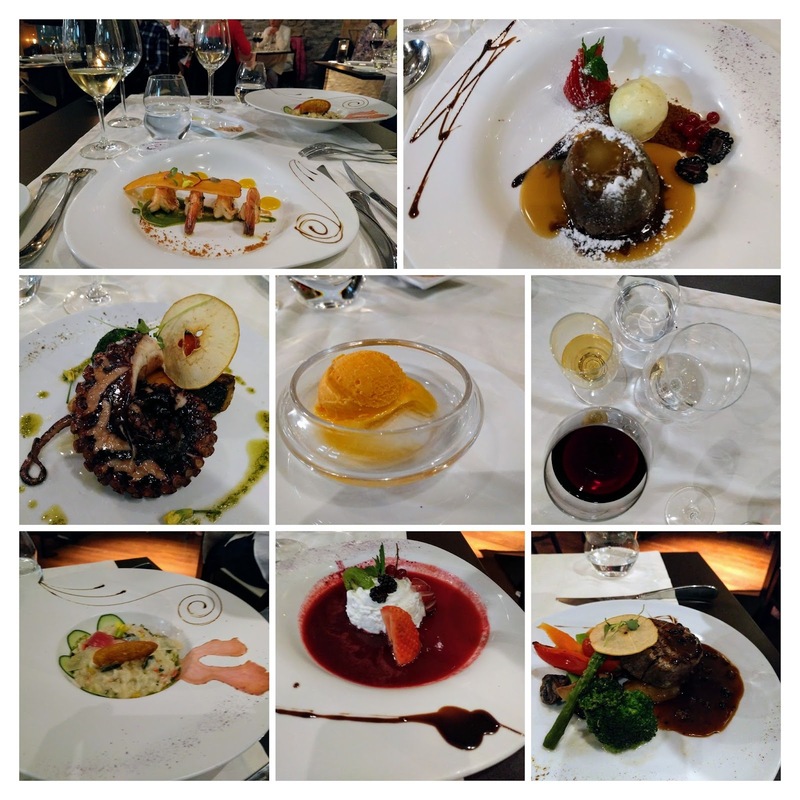 I definitely recommend Cris' if you want a fine dining experience in Madeira. 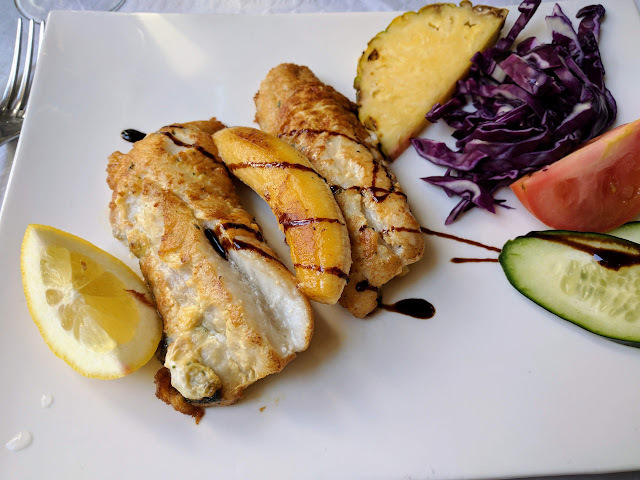 Madeira is famous for black scabbardfish (espada) served with banana. I'm not quite sure how such an ugly fish manages to taste so good, but believe me, it works! We had espada on three separate occasions on our long weekend trip to Madeira. You can't miss it. 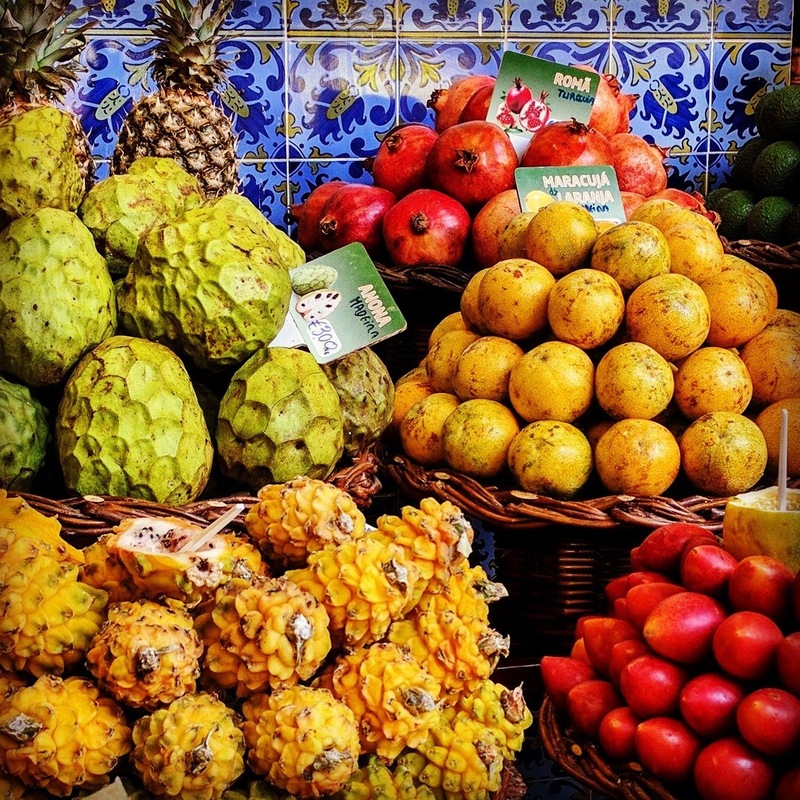 Madeira is home to a bustling food market, Mercado dos Lavradores. We were wandering through having a look at the stalls when a woman came up to us and asked if we wanted to try the maracuja (passion fruit). She proceeded to scoop out a bit of fruit with a small spoon and placed it on the back of our hands. We tried several different varieties and ended up buying two different kinds of passion fruit to take back to the hotel. 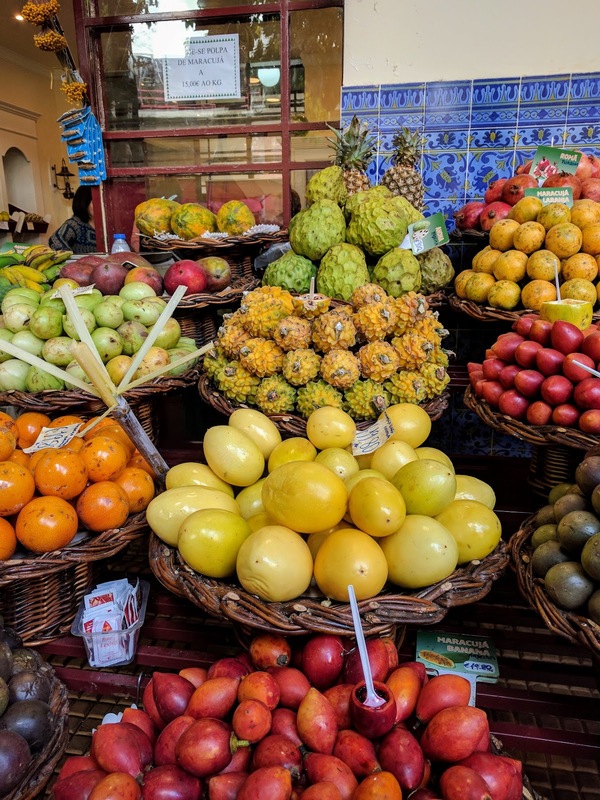 Be aware, the maracuja is quite expensive (up to 20 EUR per kilo at the market) but for us it was worth it to try something in Madeira that we don't get regularly at home. We also tried anona (custard apple fruit) which was hearty and filling. Simply cut the anona in half and have at it with a spoon working around the large black seeds that you find inside. Madeira is also famous for espetada, delectable beef cubes rubbed in salt and garlic and cooked on a bay leaf skewer over hot coals or wood. 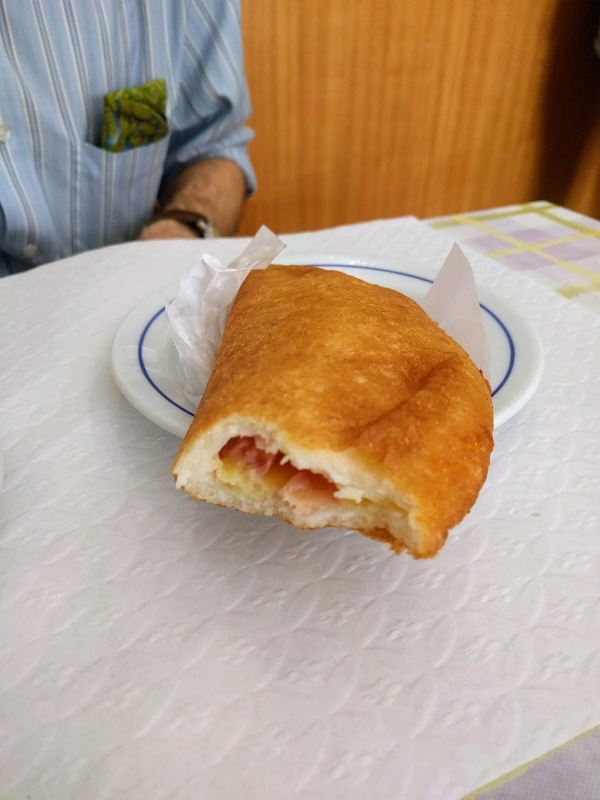 We sampled espetada near Santana at the gourmet restaurant at Hotel Quinta Do Furão. The meat tasted even better with a backdrop of dramatic cliffs over the coast. We've already seen and sampled bola do caco earlier in this post. We encountered it again cut into wedges and filled with garlic. This Madeiran garlic bread is a great accompaniment to both seafood and steak dinners. Madeira has an advantage being part of Portugal compard to the Spanish Canary Islands in that you'll find mainland favorites such as pasteis de nata. We went for a sweet and savory combo by snacking on pasteis de nata with a glass of beer near the cable car at Monte. We like wandering in to local places on our travel adventures. We spotted a cute, local restaurant and bar on R. das Maravilhas near our hotel in Funchal. We went there twice: once for an afternoon beer, and once for a lunch snack and coffee. 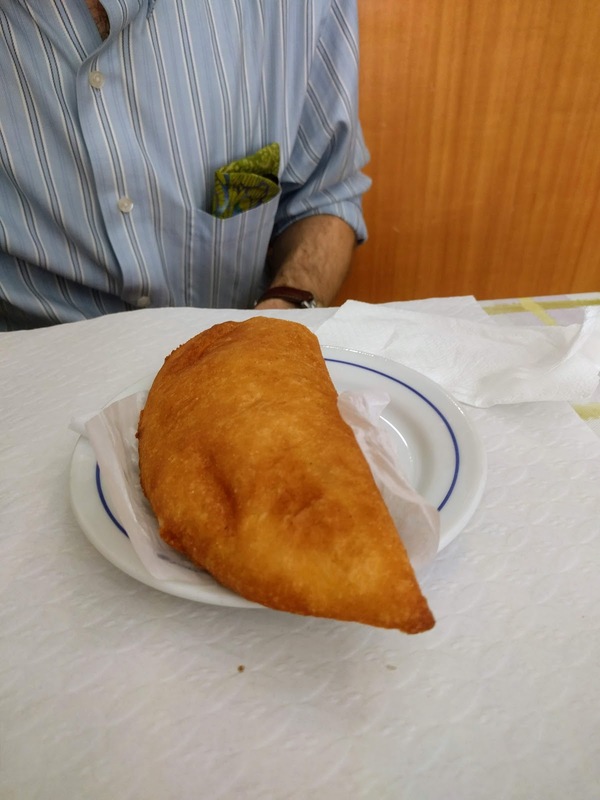 We really enjoyed this ham and cheese empanada. The outer shell was corn-based to our surprise and delight. The place was full of locals and people spoke very little English here so it felt good to get outside the tourist track a little while. Poncha may be the most famous drink in Madeira and Cristiano Ronoldo may be Madeira's favorite celebrity. 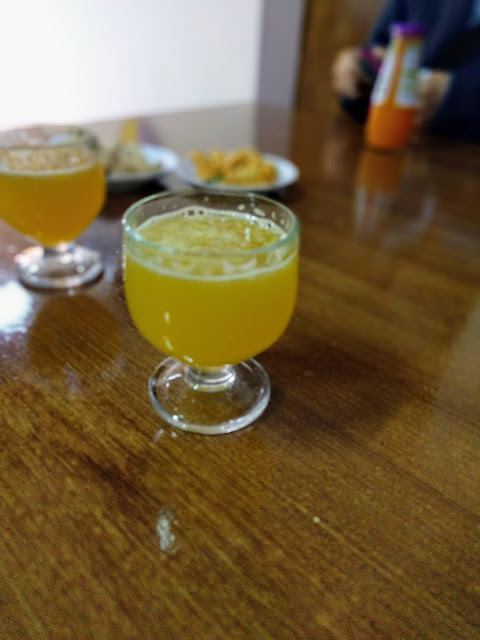 Poncha is made with aguardente de cana (essentially rum), honey, sugar, lemon rind and lemon juice (traditional) or other fruit flavors like orange or passion fruit. Ronoldo is a professional football player and so revered on Madeira that they just named the airport in Funchal after him. We got to experience both of these famous Madeiran things at Venda do Sócio. We watched as the bartender created a fresh batch of poncha just for us. As we sipped our cool, tart beverage (I like to think of poncha as a Madeiran margarita) we took a look around the bar at sports memorabilia and photos of Ronoldo smiling with the proprietors. Madeira is known for its namesake fortified wine and we definitely had our share of Madeira wine on our long weekend in Funchal. We also discovered that Madeira makes a respectable traditional wine too. Reds and whites from Madeira are harder to find than their mainland Portuguese counterparts but they are worth seeking out when you're on the island. Have you visited Madeira? What are your favorite food memories for your trip? Learn about food highlights on a long weekend vacation in Madeira, Portugal. A photo-rich post by travel blogger Jennifer (aka Dr. J) from Sidewalk Safari.